Der Artikel Call The Midwife - The Christmas Specials (UK Import) wurde in den Warenkorb gelegt. Drama / TV-Serie (6 Episoden), 462 Min. 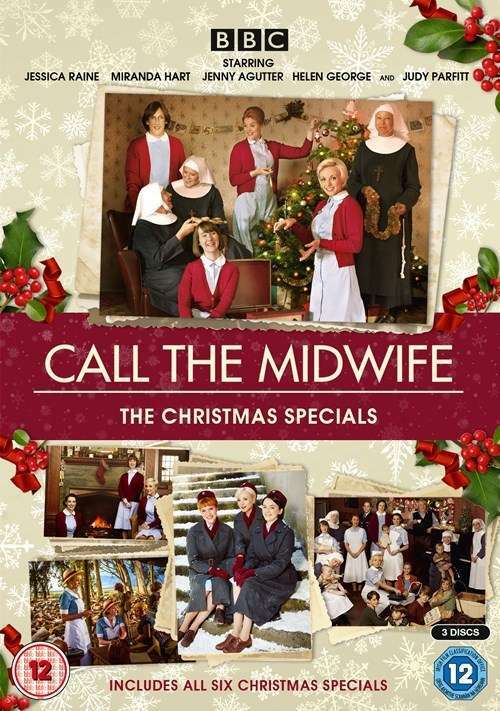 All six Christmas specials of the BBC drama, adapted from Jennifer Worth's memoirs, about a group of midwives working in poverty-stricken East London during the 1950s and '60s. Jenny Lee (Jessica Raine) gets her first job at Nonnatus House which she soon realises is a nursing convent and not a hospital, as she had assumed. As she begins caring for patients, she gradually becomes accustomed to her new environment, making friends with fellow midwives Cynthia (Bryony Hannah), Trixie (Helen George) and the clumsy Chummy (Miranda Hart). In these festive episodes, Chummy prepares a nativity play, a televised carol service comes to Poplar and the midwives travel to South Africa to save a clinic from closure.